Why? The #1 social problem of our time. We only support organizations who show an understanding that children need both parents, and that either parent is equally capable of the choice to perpetrate hate or declare peace. Post by Childrens Rights Florida. Every kid has rights, particularly when mom and dad are splitting up. Below are some things parents shouldn't forget -- and kids shouldn't let them -- when the family is in the midst of a break-up. You have the right to love both your parents. You also have the right to be loved by both of them. That means you shouldn't feel guilty about wanting to see your dad or your mom at any time. It's important for you to have both parents in your life, particularly during difficult times such as a break-up of your parents. You do not have to choose one parent over the other. If you have an opinion about which parent you want to live with, let it be known. But nobody can force you to make that choice. If your parents can't work it out, a judge may make the decision for them. You're entitled to all the feelings you're having. Don't be embarrassed by what you're feeling. It is scary when your parents break up, and you're allowed to be scared. Or angry. Or sad. Or whatever. You have the right to be in a safe environment. This means that nobody is allowed to put you in danger, either physically or emotionally. If one of your parents is hurting you, tell someone -- either your other parent or a trusted adult like a teacher. You don't belong in the middle of your parents' break-up. Sometimes your parents may get so caught up in their own problems that they forget that you're just a kid, and that you can't handle their adult worries. If they start putting you in the middle of their dispute, remind them that it's their fight, not yours. Grandparents, aunts, uncles and cousins are still part of your life. Even if you're living with one parent, you can still see relatives on your other parent's side. You'll always be a part of their lives, even if your parents aren't together anymore. You have the right to be a child. Kids shouldn't worry about adult problems. Concentrate on your school work, your friends, activities, etc. Your mom and dad just need your love. They can handle the rest. IT IS NOT YOUR FAULT AND DON'T BLAME YOURSELF. It must be reproduced in its entirety with no additions or deletions, including the AAML copyright notice. It must be distributed free of charge. The AAML reserves the right to limit or deny the right of reproduction in its sole discretion. "CHILDREN OF DIVORCE DESERVE FULL ACCESS TO BOTH PARENTS, WHENEVER POSSIBLE." Personally, I can’t find anyone willing to reject that statement publicly. It’s a fundamental truth. We now have a wealth of evidence demonstrating children are better off, in most situations, when they have something near equal time with each parent. So why are shared-parenting bills are being rejected throughout the country? Do legislators believe mothers are more important to children than fathers? For the most part, I don’t think so. Politicians are, however, under quite a bit of pressure from some very powerful anti-shared parenting special interests. Recently, we’ve seen these opponents contribute to shared-parenting bills failing to pass in South Dakota and Minnesota. Some would argue disappointments like those are clear signs that shared parenting legislation will not happen anytime soon. The opposite is true. The near victories in these states and others is an enormous indication politicians are beginning to understand the vast majority of American citizens believe children of divorce deserve equal access to both parents, whenever possible. In fact, South Dakota’s bill lost in a 21-13 Senate vote. That’s a swing of 5 senators. If merely 5 senators felt more pressure from South Dakotans than they did from special interests, South Dakota would have a shared parenting statute. We should commend the remaining politicians in South Dakota’s Senate for doing the right thing. In Minnesota … well, Minnesota is a travesty. That bill passed, and on May 24, 2012 Governor Mark Dayton vetoed it. Governor Dayton claimed that both sides made “compelling arguments,” but because the “ramifications” of the legislation were “uncertain,” he decided to single-handedly overrule the will of his constituents and their representatives. Mr. Governor, unless you are ending slavery or beginning women’s suffrage, you will likely never have the benefit of “certainty” in your political career. Again, we should praise the Minnesotan politicians who voted for the bill. Six people. Six people stopped two states from enacting shared parenting. Six people do not indicate shared parenting is a distant hope – they indicate profoundly that it is an imminent inevitability. Mike Haskell is a divorced dad, shared parenting supporter and practicing family law attorney in Grand Rapids, Michigan. Posting of this article is not an endorsement for, or recommendation of, Haskell Law. The members of the American Coalition for Fathers and Children dedicate ourselves to the creation of a family law system and public awareness which promotes equal rights for ALL parties affected by issues of the modern family. ACFC is challenging the current system of American family law and policy. Through a national system of local affiliates and in alliance with other pro-family and civil liberties groups, ACFC is shifting the public debate to the real causes of family dissolution. “Justice is a part of the human makeup. And if you deprive a person of Justice on a continuous basis, it’s really an attack (and not to get religious or anything) but it’s an attack on the human soul. We have, as societies, evolved ideas of Justice and we have done that because human nature needs Justice and it needs resolution. And if you deprive somebody of that long enough they’re going to have reactions…” ~ Juli T. Star-Alexander – Executive Director, Redress, Inc.
Means we use must be as pure as the ends we seek. We always encourage all parents and extended family to share experiences of Family Court horrors, or Parental Alienation and its impact on you, your children and family. That way the ripple effect of the information and experiences shared will create positive change for other people who are affected or who may be affected in the future. Comment anonymously, call yourself whatever you want. Email addresses are strictly confidential, and providing one is optional (but will allow you to be notified of others’ responses and to dialogue immediately if you wish). This blog was viewed over a half a million times. For the public to be aware of procedural abuses, it has to hear about them. The blog author’s own story is here. Civility is the only constraint upon your speech. The Communications Decency Act exempts this blog’s author from any liability for what you say. Can Parental Alienation Cause Trauma? Alienating Children From "FIT" and "WILLING" Parents Is A Form Of Child Abuse...isn't it? Happy Birthday Zoraya! We Love and Miss You So Much!! What is Family Court Really Like? 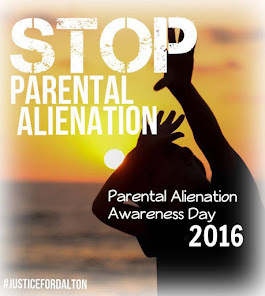 Parental Alienation, Estrangement, Crappy Parenting? To a child, divorce can feel like a war zone. Family Courts require redesign to better preserve posterity for our children. Too long parents have been without a voice. We are working to give that voice back to the parents. Dear 2016 Presidential Candidate, What’s causing the DCF deaths and the separation of our families? - Dear 2016 Presidential Candidate, What’s causing the DCF deaths and the separation of our families? Dr Craig Childress: Attachment-Based "Parental Alienation"
You Win Again. - This. World4Justice : NOW! Lobby Forum. ADVISORY: Users are solely responsible for opinions they post here and for following agreed-upon rules of civility. Posts and comments do not reflect the views of this site. Posts and comments are automatically checked for inappropriate language, but readers might find some comments offensive or inaccurate. If you believe a comment violates our rules, click the "Flag as offensive" link below the comment. By using various interactive features to post content, you are participating in a community intended for all of our users. In general, we reserve the right to remove any content posted on our site at any time for any reason. Without limiting our right to remove content, we have attempted to provide guidelines to those posting on our site. As such, if your behavior becomes a problem for the site or for other users, we may, in our discretion and without warning, ban you. § Contains vulgar, profane, abusive, racist or hateful language or expressions, epithets or slurs, text, photographs or illustrations in poor taste, or attacks of a personal, racial or religious nature. 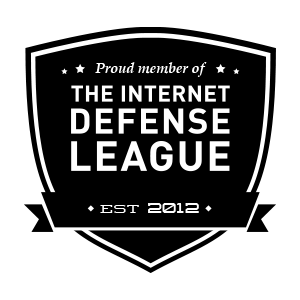 § Is defamatory, threatening, disparaging, grossly inflammatory, false, misleading, fraudulent, inaccurate, unfair, contains gross exaggeration or unsubstantiated claims, violates the privacy rights of any third party, is unreasonably harmful or offensive to any individual, community, association, group or business. § Violates any right of this blog or any third party. § Discriminates on the grounds of race, religion, national origin, gender, age, marital status, sexual orientation or disability, or refers to such matters in any manner prohibited by law. § Violates or inappropriately encourages the violation of any municipal, state, federal or international law, rule, regulation or ordinance. § Interferes with any third party's uninterrupted use of this blog. § Advertises, promotes or offers to trade any goods or services, except in areas specifically designated for such purpose. § Includes copyrighted or other proprietary material of any kind without the express permission of the owner of that material. § Uses or attempts to use another's identity, account, password, service or system except as expressly permitted by the Terms of Service of Google's Blogger. § Contains or links to viruses or other harmful, disruptive or destructive files. § disrupts, interferes with, or otherwise harms or violates the security of StAugustine.com, or any services, system resources, accounts, passwords, servers or networks connected to or accessible through StAugustine.com or affiliated or linked sites. § Repeats the same message under multiple threads or subjects. The moral arc of the universe bends at the elbow of justice. We are not makers of history. We are made by history.